These are a part of five research programmes which have received $24.85 million, in addition to 51 research programmes that have received $56.5 million from the 2017 HRCNZ funding round. The largest of the grants- $4.99 million over five years, goes to Professor Jeroen Douwes, Director of the Wellington Centre for Public Health Research. His research, entitled ‘Interventions to reduce occupational disease’ will include three intervention studies targeting agricultural, construction and vehicle collision repair workers exposed to pesticides, silica, and solvents. The research programme, to be conducted in collaboration with scientists from the United States, Netherlands, United Kingdom, Scotland and Australia, will build on previous HRC-funded studies conducted by Massey’s Centre for Public Health Research, which identified major occupational risk factors for cancer, asthma and neuropsychological deficits in New Zealand workers. Professor Douwes said that occupational disease is largely preventable through reduction of causal exposures. However, interventions to reduce work-related disease – estimated to contribute to 600-900 deaths and 30,000 new cases of work-related disease each year, at an annual cost of $2.4 billion in New Zealand alone – remain rare, he said. “These exposures can cause respiratory conditions, cancer and neurotoxicity. We will conduct three cluster randomised controlled trials comparing pre-and post-intervention exposure levels; biomarkers in serum, urine and the airways; and reversible respiratory and neuropsychological effects, with controls. The intervention will entail technical control measures, improved use of protective equipment, and behavioural changes, and be guided by extensive airborne and skin exposure assessment. This will provide the scientific evidence to successfully reduce common harmful exposures and related ill health in high-risk industries in New Zealand,” Professor Douwes said. According to him, casual risk factors are known for many occupational diseases, but surprisingly few studies evaluating occupational interventions have been conducted. The programme will be the first health-focused occupational intervention study in New Zealand and given its size and scope, will be unique in the world. “In addition to contributing to primary prevention of occupational disease, it will also contribute to developing human capacity in occupational intervention studies which is currently lacking in New Zealand and is rare internationally,” Professor Douwes said. 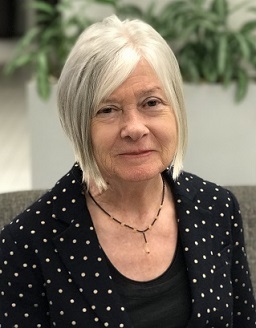 Professor Sally Casswell, Co-Director of Social and Health Outcomes Research and Evaluation (SHORE) and Whariki Research Centre in Auckland, has been awarded a project grant of $1,188,701 over 36 months. The research project, entitled ‘Assessing and comparing National Policy to reduce harmful use of Alcohol’ will use unique data from the International Alcohol Control (IAC) study to develop two new International Alcohol Control Policy Indices, one for youth and one for adults, comparable across high and middle-income countries. For the first time, this will include both policy input (legislation and regulations) and policy impact (measures of the environment affected by the policies) for a range of key alcohol policies. “The relationship between the International Alcohol Control Policy Indices and drinking patterns will be analysed to assess impact of policy in disparate high and middle-income countries, among adults and young people. This study will provide new knowledge about the relationships between alcohol policy and alcohol consumption and by deriving quantifiable metrics provide a tool for communicating with public and policy makers,” Professor Casswell said.